Restraint Modules are specifically designed for the easy handling of animals during injections, examinations, or anytime absolute control of the animal is a must. Restraint Modules are specifically designed for easy handling of animals during injections, examinations, or anytime absolute control of the animal is a must. The sliding panel locks into any position desired and will comfortably hold the animal. The restraint module can be operated with one hand and only requires one individual to operate. Heavy reinforcing rods are welded to the wire frame for extra support, and a sliding rear door allows for easy transferring of animals. 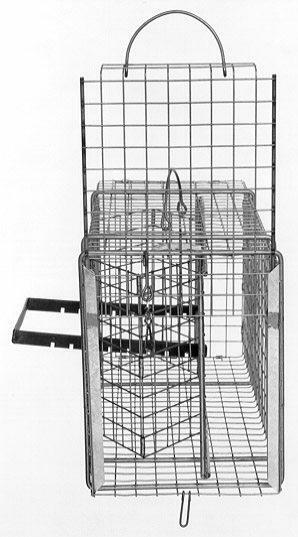 Our restraint modules match up nicely to our traps and cages with easy release doors. Dimensions: 30" x 12" x 14"
Wire Grid: 1" x 2"